The things I have learned…. I feel like the guest room has turned into the longest renovation ever. Our lives keep getting in the way of completing the room and the mess upstairs is starting to look like an episode of Hoarders. So I have been trying to do what we can to keep moving. So I can keep my sanity. I was extremely happy to start my first painting with my daughter. Our first of what I hope become a lifetime of collaborations. 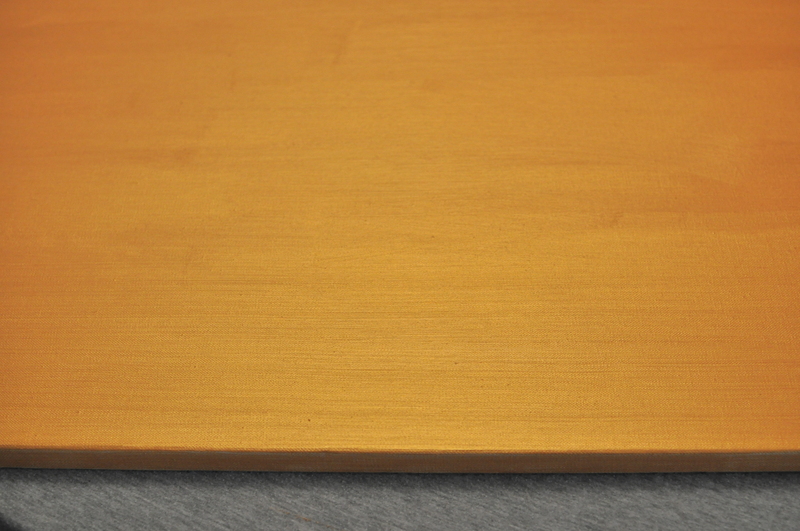 I started by painting a base coat over the whole canvas. 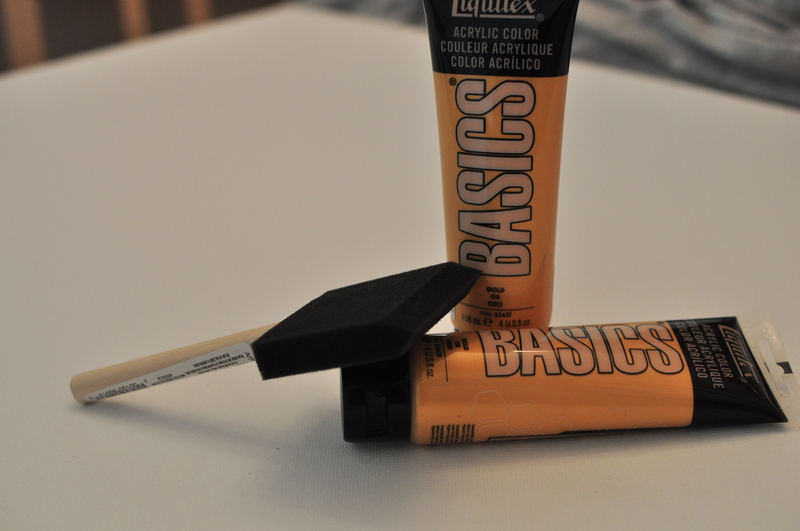 It took 2-3 coats to cover to the bright gold I was looking for. Then take the frog tape and make a pattern. I was going for a “Glam Stained Glass Window” effect. 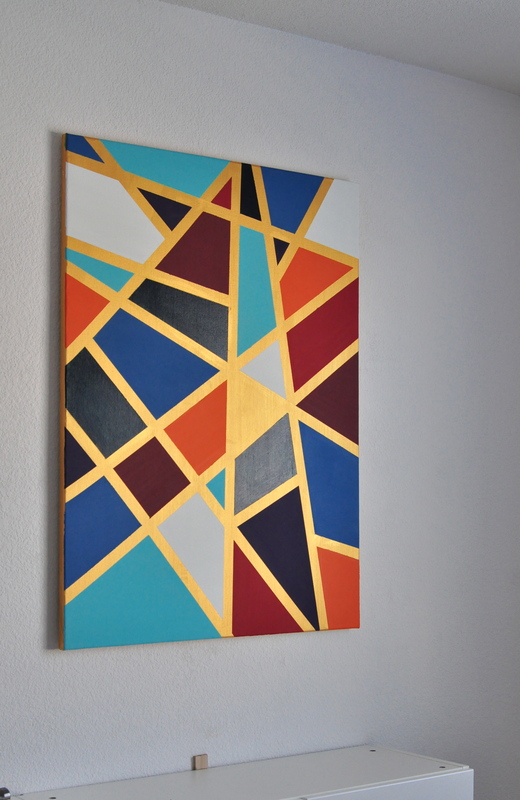 So I taped triangles and selected a few complimenting colors to paint with. Make sure to press down on the tape to ensure you get a good seal on the tape since you will be removing it to create those crisp lines. Start painting. 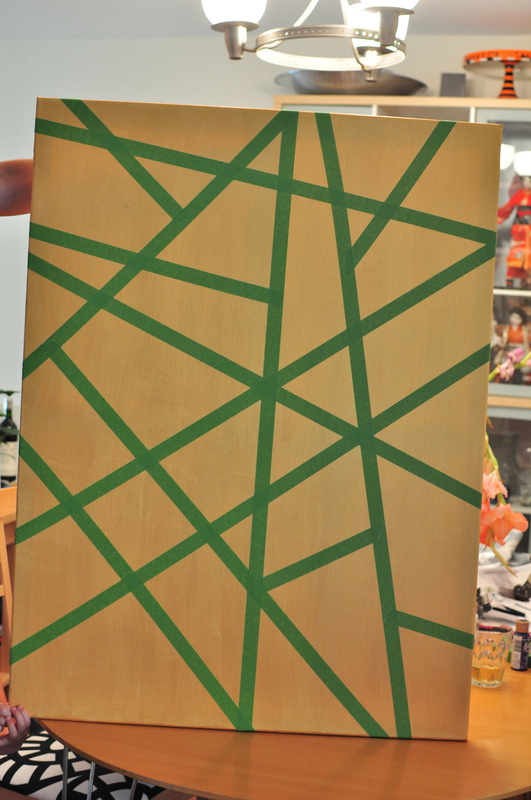 Each triangle took 2-3 coats of paint depending on the color. 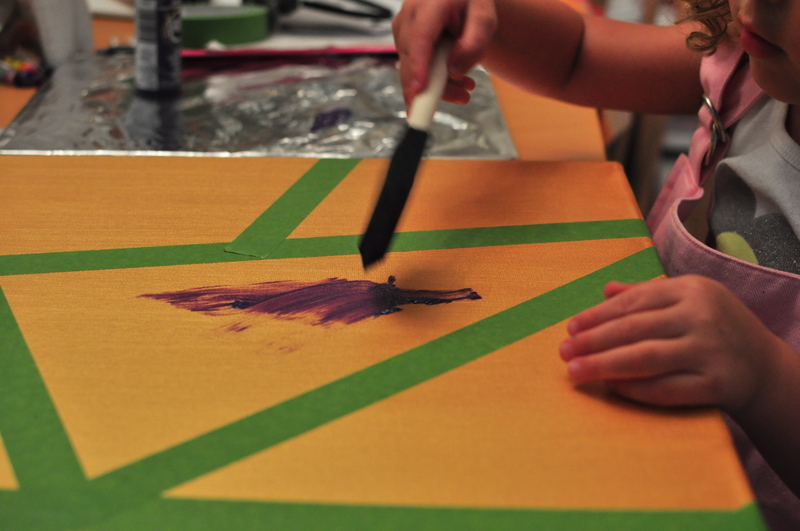 Once the painting is completely dry carefully remove the tape. I had to correct a few lines which I did with a small paintbrush. Stand back and enjoy the small victory that I am one small step closer to finishing the room. This entry was posted in Projects and tagged DIY, Guest room renovation, projects by 24useablehours. Bookmark the permalink. Wow! Gorgeous! Love the contrast with the stark white wall behind it.